Six national and international teams had been shortlisted for the design competition. A team led by German companies Leonhardt, Andrä und Partner and Gerkan, Marg and Partner has been awarded the first prize. Other members of the team are Kocks Ingenieure and Mix landschaft & freiraum. 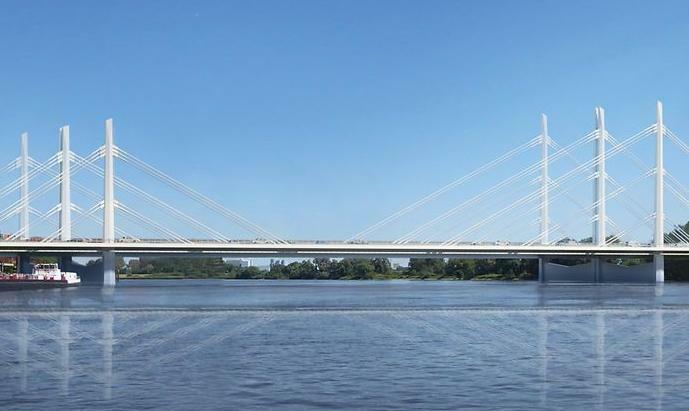 The new Norderelbe Bridge will replace an existing crossing as part of the widening of the A1 highway from six to eight lanes. 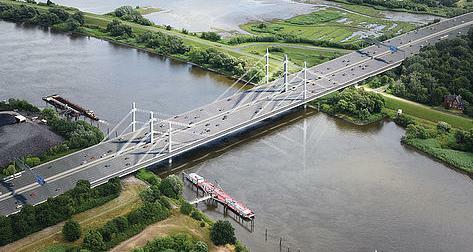 The double cable-stayed bridge has different span lengths and pylon heights in answer to site constraints.